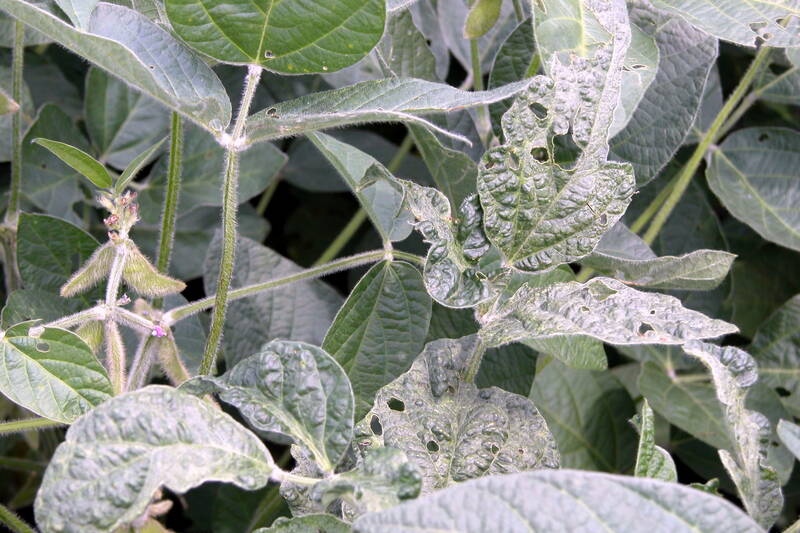 Foliar symptoms caused by Soybean mosaic virus (SMV) include distorted and wrinkled leaves that have a mottled color pattern. 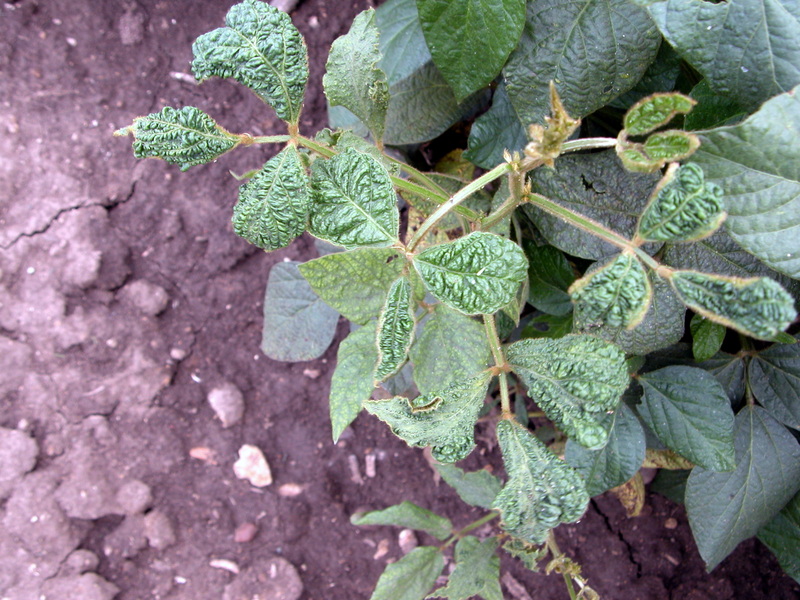 Symptoms appear more severe on young leaves, sometimes with a raised, blistered, or distorted appearance. Symptoms are most obvious at cooler temperatures and often disappear when it is hot. 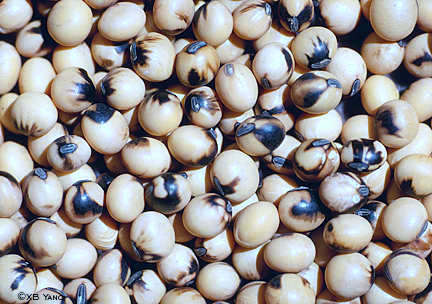 The major concern with soybean mosaic is reduced seed quality due to mottled seeds; yield is generally not affected. 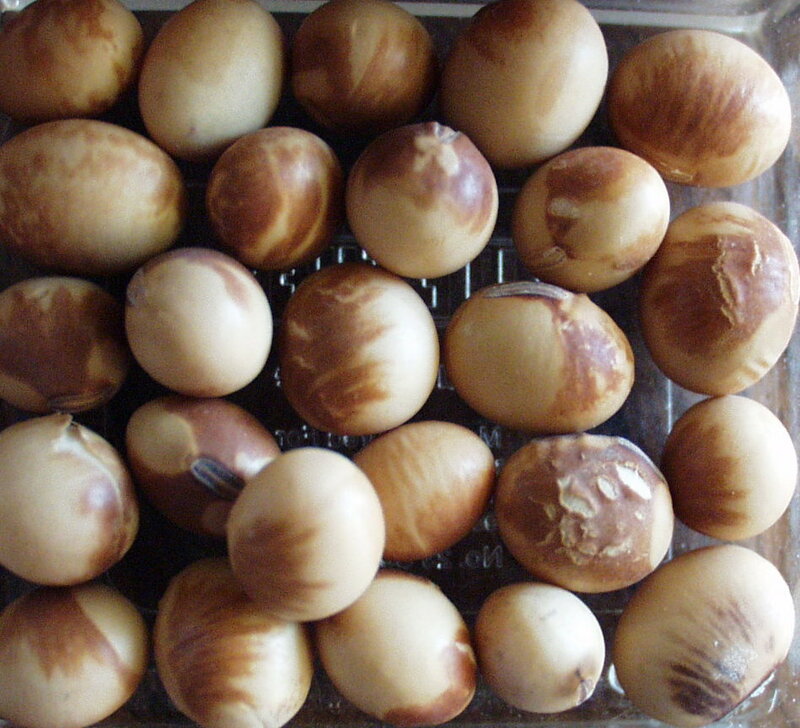 Mottling is associated with poor germination and may result in a grain grade reduction, particularly for food grade soybeans. SMV is transmitted by more than 30 aphid species, including the soybean aphid. However, infected seed is the most important way SMV is introduced into a field. 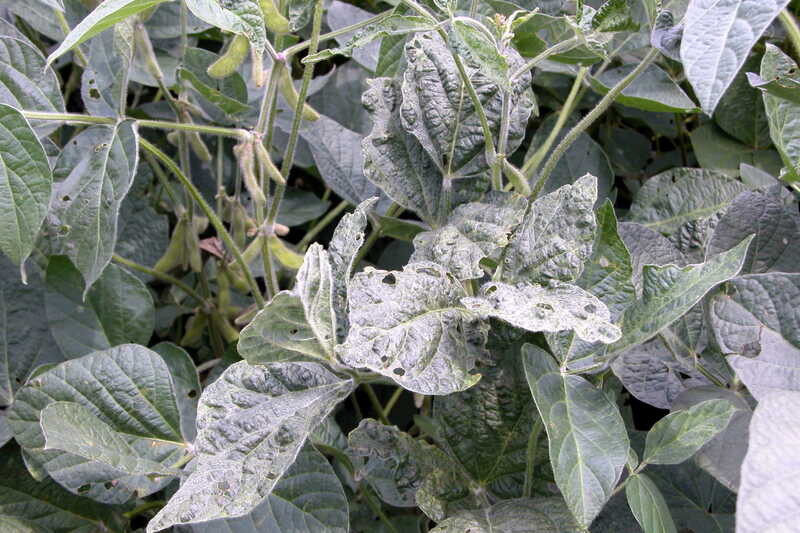 Foliar symptoms of soybean mosaic. Infected seed is the most important way soybean mosaic is introduced into a field. 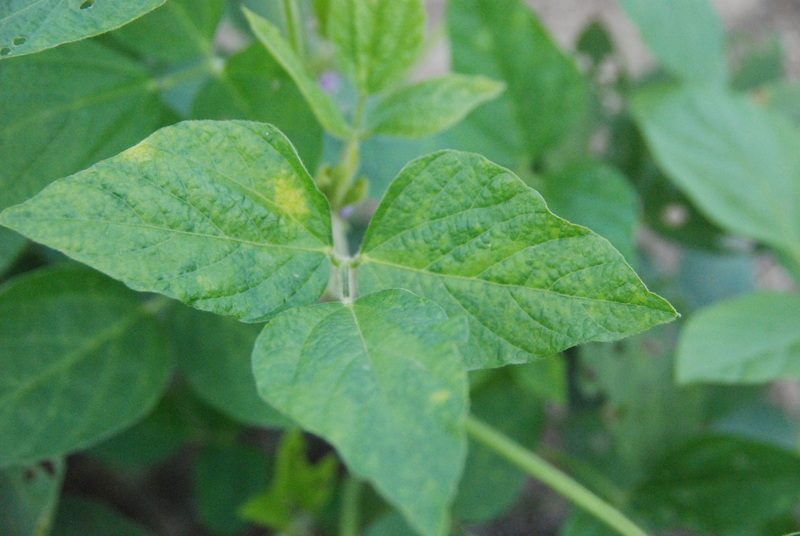 Symptoms of soybean mosaic on foliage. The major concern with soybean mosaic is reduced seed quality. Soybean mosaic symptoms appear more severe on young leaves.